I found this site through SponTwits and I tell you what it looks like an AWESOME deal. And $2 flat rate shipping!?!! And if I can get 40 people to give them their email address in the next 72 hours I get this handbag. Really! You get $10 to spend when the mood strikes you for something at their website - and I get that cool handbag. 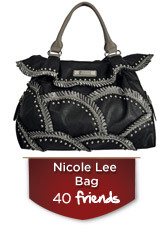 They have other offers for higher signups and lower signups, but that Nicole Lee Bag speaks to me personally. 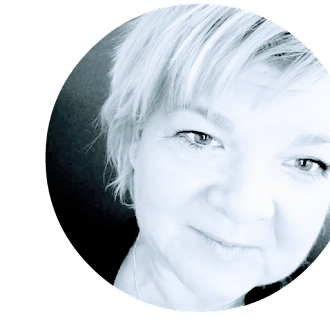 Go ahead - Click This Link! That website sounds familiar. I think I might've signed up them awhile back but cancelled it because I never bought anything from them. anything for you babe :) I hope I did it right! BTW...so thank you for my bumper sticker and I am so sorry I have not sent you a picture yet. I will try to work on that tomorrow. I am so forgetful lately!!! I am totally going to give them my email and look at their super cute things. I hope you get this bag cause it is HOT!! I stopped by because Normal Mom Ally tweeted you were a favorite:) I'm following!